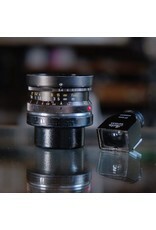 Leitz Wetzlar Super-Angulon 21mm f3.4 lens for Leica M mount. In adequate cosmetic condition, this lens shows notable paint and finish wear. 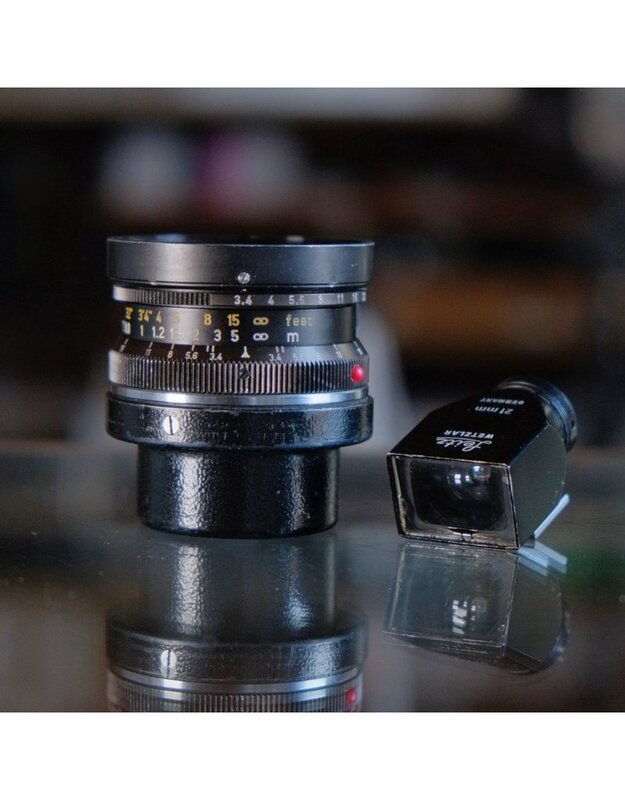 That said, focusing is smooth, glass shows only minor internal dust, and image quality is excellent. Includes lenshood in similar condition, plus the original Leitz 21mm viewfinder with some cosmetic wear and optical softness. A classic ultrawide lens in user condition.